Having a well respected, well branded advanced learning program can be a blessing and a curse for a public school like Capitol Hill’s Lowell Elementary. Prior to 2012 the 11th and Mercer elementary school was known primarily for its Accelerated Progress Program (APP). When the program left for Lincoln Elementary in Wallingford, so did a good chunk of students and a lot of parent interest. Dr. Marion Smith assumed his role as the school’s principal in the midst of Lowell’s identity change and made it a personal mission to move the school beyond its APP days. This week, as the kids return from spring break and head into the final stretch of the school year, their school is in the midst of a redefinition. Starting in the 2014-15 school year Lowell will host the Spectrum Program to build on its existing advanced learning instruction. While it may not have the same prestige as APP among Seattle parents, Smith said it has already been helpful in selling the school. Whether the Spectrum program will be a separate homeroom or not will depend on this year’s enrollment and eligibility numbers, which Smith said he expects to have in the coming weeks. The advanced learning program changes aren’t the only identity crossroads Lowell faces this year. 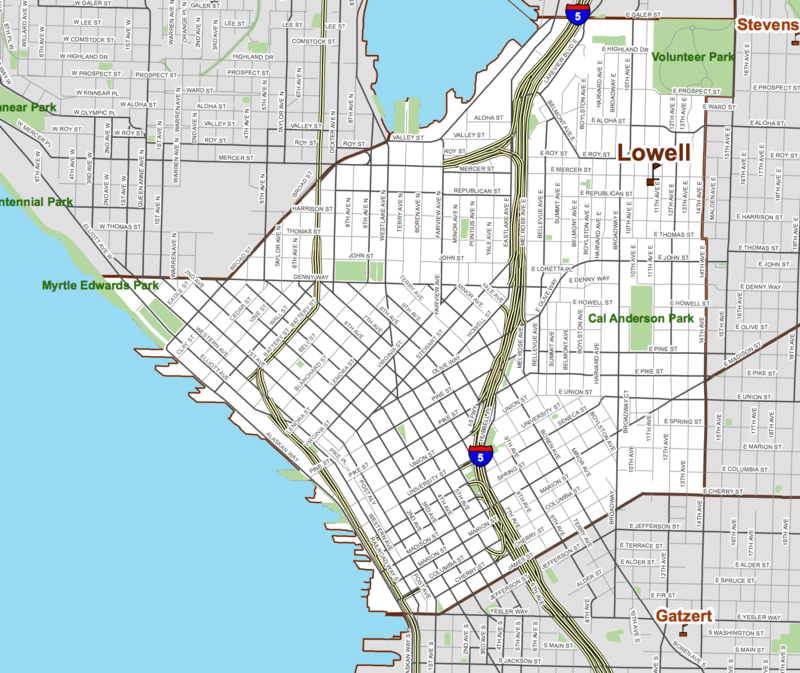 With a continuing uptick in students city wide and shifting school populations, Lowell’s enrollment boundaries will expand this year to include all of downtown. The new boundaries will push Lowell to be ever more nimble and flexible in how it addresses the wide variety of student needs. Despite the doubling of the schools boundary area, Smith said that Seattle Schools does not expect enrollment to spike given the lower percentage of elementary aged kids downtown and the popularity of private schools in the area. Lowell will gain about 50 new students next year, which Smith said is still well below Lowell’s capacity. According to SPS, enrollment in Seattle schools has increased by about 5,000 students since 2009-10, to a projected 51,000 students in 2013-14. Enrollment is projected to reach 60,000 students in 2020. With the opening of a Capitol Hill middle school at the Meany campus in 2017, the new boundaries would solidify plans to move students into the new middle school. Students from Stevens and Lowell would join those from Gatzert, Madrona (K-8), McGilvra, and Montlake in the new Meany Middle School. Currently, students from those schools all feed into Washington Middle School in the Central District. Whether or not you have school aged kids, Smith said there are plenty of ways to get involved at Lowell, including volunteering in the classroom to fundraising. You can get started by picking up some goods at the school’s soon-to-be-announced rummage sale. This entry was posted in News, etc. and tagged broadway, schools by Bryan Cohen. Bookmark the permalink.